Flying Embers is Organic Hard Kombucha, with live probiotics, adaptogenic ingredients at 4.5 percent alcohol by volume. The Organic Hard Kombucha is made from a sparkling fermented tea kombucha culture with adaptogenic botanicals. 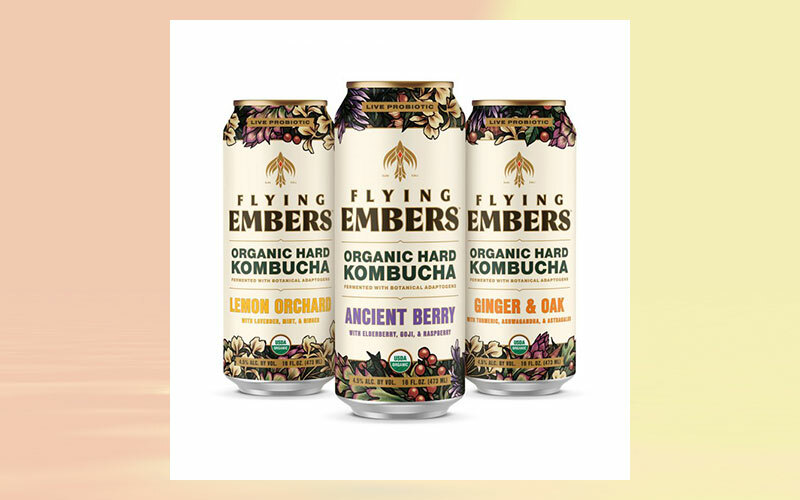 Flying Embers was founded in 2017 by Bill Moses, proven beverage entrepreneur, co-founder and former CEO of Kevita sparkling probiotics, which sold to PepsiCo in December of 2016. The Organic Hard Kombucha line features innovative live brews: Ancient Berry, Lemon Orchard, and Ginger & Oak. Flying Embers is a presentation of Fermented Sciences Brewing.